To get success with content marketing approach, you have to invest in SEO-friendly and consistent content formation, using videos, pictures, and other content materials that can be utilized on various channels. For businesses with a digital presence, content marketing needs to be a vital part of their digital marketing strategy. However, creating the effective content which echoes with the audience and promoting the same among the wider audience is a challenge. 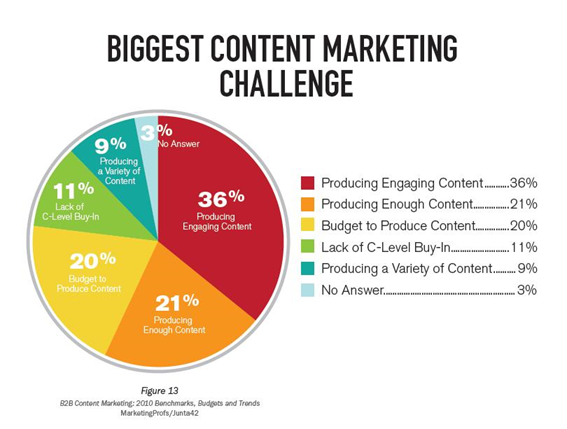 Content marketing services and experts should be knowledgeable about some common challenges that they may face and be prepared beforehand to overcome these challenges. When planning a content chart as a part of the content marketing strategy, it may be quite simple to whip out the initial thoughts for topics related to the same. Though these ideas may be pertinent and supportive to your client or fascinating to the audience, they may not be the kinds of content subjects that drive engagement with the brand and boost sales for the company. The procedure of producing content ideas is not a secluded event that can be precisely wrapped. To receive a high-quality output on demand, you need to start gradually. Individuals who create creative content understand what all the other campaigns are and know which ideas are successful and which are ineffective. The major concerns for content marketers should involve different aspects to build the right strategy. According to a report by the content marketing institute, effective content marketing tactics must be created using the technology to manage content, mapping the customer journey, setting up and leading a team, using artificial intelligence and more. If you are looking forward to generating ideas, the initial phase is dedicating some time to look for the inspiration to grow your mind and give it some ingredients so that it can begin to produce its own ideas. Here we talk about some excellent sources of inspiration that you can use on a constant basis for content marketing ideas. Podcasts are non-live radio, based on internet and can be listened to anywhere anytime on the go and free of cost. 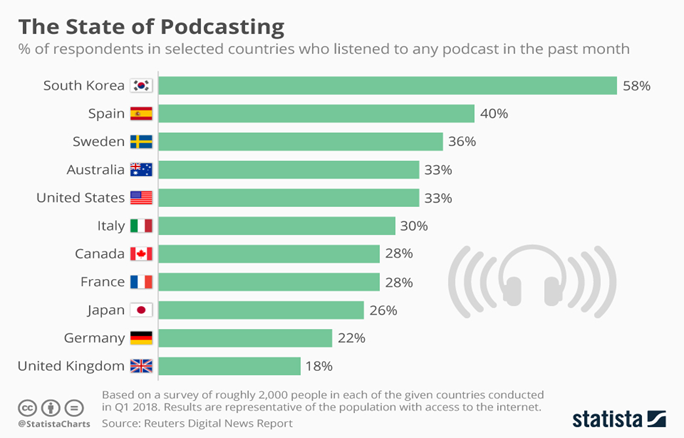 You can receive a lot of knowledge and awareness on different topics, of course, it depends on the podcast type you listen to. You can mix various topics and look for the ideas while listening to podcasts. 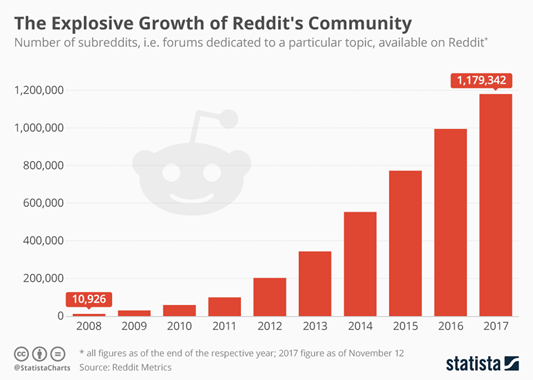 Reddit has impressed both marketers and audience for years because of its unforgivable and impulsive nature toward controlling users. 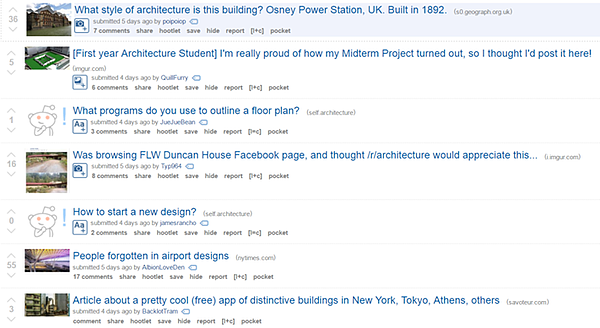 However, Reddit is considered the excellent source to find random ideas. You should attend workshops and conferences, join various business-related groups, interact with individuals on forums to share concepts and ideas and know about the latest trends. Reading is an excellent source of inspiration for content ideas. Reading informative and interesting books can expose you to a pool of new ideas. You will be driven to enhance, and that will move you ahead. Appreciating each perfect word and idiom used by the author, you may also wish to get better writing skill to become a better author. You can read the success stories of famous people. This will help you to learn the way these people have managed to get their goal accomplished. Their stories may encourage you to make a new attempt and try something new. You will know about several new ideas and concepts. Indeed, there are numerous other inspirational sources for creating fantastic content, but there’s no magical plan that acts in every condition. What you need to do is stay inspired and be well prepared to create great writeups.